Did coffee kill the big book store? Once upon a time, book stores sold books. Wall to wall, floor to ceiling, the latest hard-backs sat primed at the front with their luscious glossy covers, tanks of literature paving the way for the army of paperbacks falling in rank behind them. Silence hovered in a dusty deliciousness, an invitation to worlds of vast imagination, mystery and intrigue. Crusty men and women ran these places, men and women who when not selling books were writing books. Coming from London to New York I discovered Barnes and Noble – not that difficult and not an achievement I am boasting about, but something about B & N was comforting to me in my struggle to come to terms with life in a new city, so far from the familiarity of friends and family, in another country. I was not alone. B & N have in-store coffee shops, as indeed do Borders stores. For the price of a cup of coffee, caramel macchiato if I am being truly confessional, I could take my pick from the magazine rack and catch up on the latest need to know about Brad and Angie and their growing family, pretend to care about Lindsay and Brittany’s latest breakdowns. For more cerebral times it was Architectural Digest and other decorating editions for the latest trends. As stated earlier, I was not alone. Others read books, from latest edition hard-backs to paperbacks. Tutors tutored students. Teachers marked papers. Agents met with writers to discuss terms. Nannies met in a collective boredom with their tiny charges. Travel through the US has resulted in my spending far more time in places such as Pittsburgh and Minneapolis than I ever thought possible. 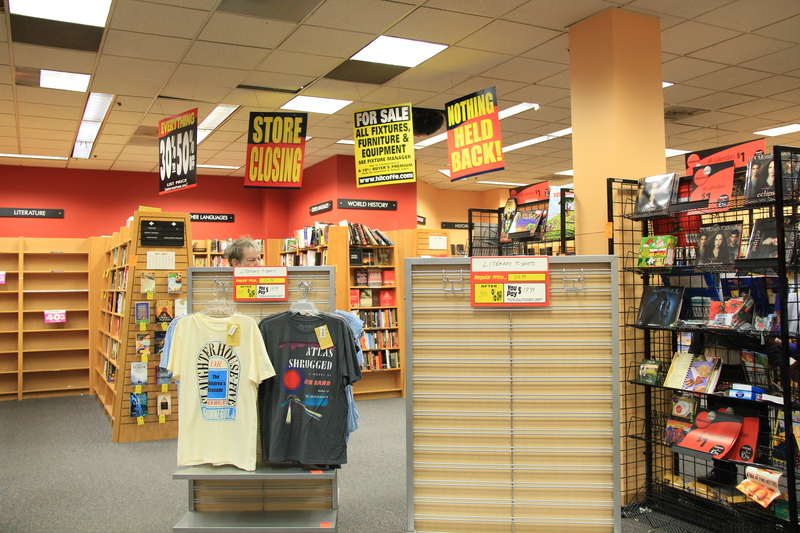 Downtown Pittsburgh, without a B & N or a Borders, left me deserted and in despair. Minneapolis, however, provided richer pickings with an entertaining rota of chatty coffee customers. That they talked to themselves, having the most animated of conversations, was neither here nor there. They were part of the infrastructure, worthy of its own sitcom according to the young salesman there. To San Francisco and Borders and, if lucky enough, a table in the window looking down over Union Square. For all my cups of coffee and magazine browsing, I spent time at tables here and there working with pen and ink. Writing, scribbling in the peace and quiet of low-level chaos, plugged in on a personal level with rich rewards. And for all my cups of coffee, I did buy books. From Minneapolis, I bought another edition of Sinclair Lewis’ Main Street. From San Francisco, the wonderful Mayor of Castro Street by Randy Shilts. Always a sucker for a good cover I was unable to resist a collection of Lesbian Pulp Fiction (The Sexually Intrepid World of Lesbian Paperback Novels 1950 -1965) and the delightful adventures of Lois Lenz, Lesbian Secretary by Monica Nolan. There were others, many others, but these are my stand-out souvenirs. 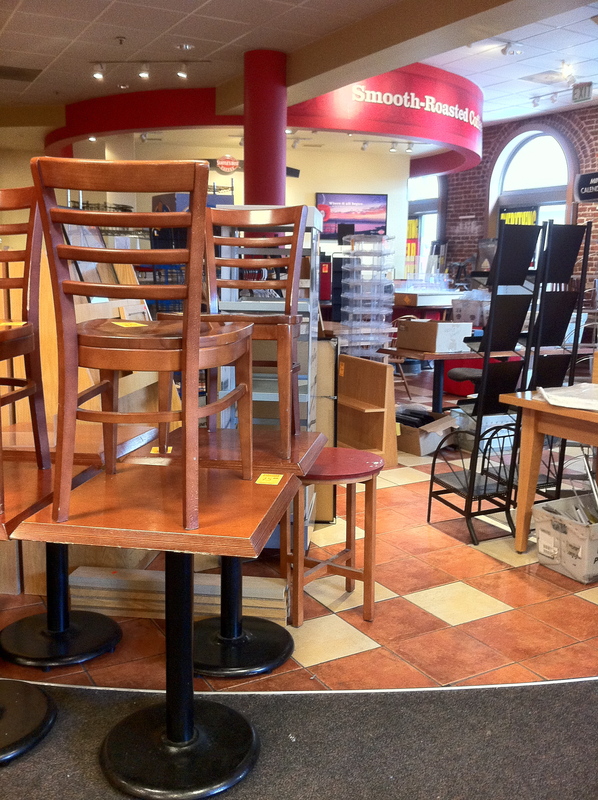 No more coffee at Borders, San Francisco . . . Borders, and to some extent B & N, in providing so much to so many, everything it seems but overnight accommodation, has had to call time on its public largesse. And only now do I mention Amazon, that collection of six simple letters saying it all. However, within my own small area of New York, three independent book shops remain in business. John Sandoe, remains a must go to in London and, in San Francisco, City Lights continues to shine. As for coffee, I can get a bad cup of that anywhere! ← Norm, I Hardly Knew You But . . .